SOZO Global Review – Too Legit to Quit? You are here: Home / MLM Companies / SOZO Global Review – Too Legit to Quit? So you want to know about Sozo Global? I don’t blame you. They have some really impressively done videos and all of their online propaganda is so “happy” and upbeat. Actually, more so than almost all the other mlms, these guys put happy to shame. They are elated about the Sozo Products and they care enough to put money into professionally made videos. And the videos aren’t from just a little video company. Whoever they use, has real skill and completely understands marketing and attraction. Can you say National Geographic CoffeeBerry? Seriously? Have you seen videos like that in other mlms. Their promotional product videos are even better and more modern as well. Please…give a big shout out to the production staff at Sozo Global because they definitely have my attention. But what about the SozoGlobal MLM Business Opportunity? Dare I say the same thing? Straight out of the Lone Star State (Texas…for your Northerners…), these guys registered as Sozo Global Inc. with a mission to help empower others for a healthier life. Sozo has a bit of an advantage when it comes to mlms because Mark Adams has already proven his success with start up businesses…so “Yay!” for that. If you check out “Sozo Global” trends you see a pike in 2009 (expected with a start up) and then a fairly nice leveling out. There hasn’t really been a downward trend at all. It means that Sozo has been able to sustain their level of sales within the market. Sustaining is great if you’re already in the company. I am a bit concerned as to why the company hasn’t grown. Getting only about 900 searches in a month for Sozo Global isn’t bad but it’s not that good. Long lived mlms are banking hundreds of thousands of searches a month. Even with Sozo introducing new products into the market, like Meridium and H2, they still haven’t spiked from their long lasting plateau. Sozo Global is expanding in the Asian Markets so it will be interesting to see if their flatlining in Google will improve. As you saw in the video, you know the Sozo product is based off of the Sozo Coffee Berry. No…it’s not Arabica or Columbian….silly. 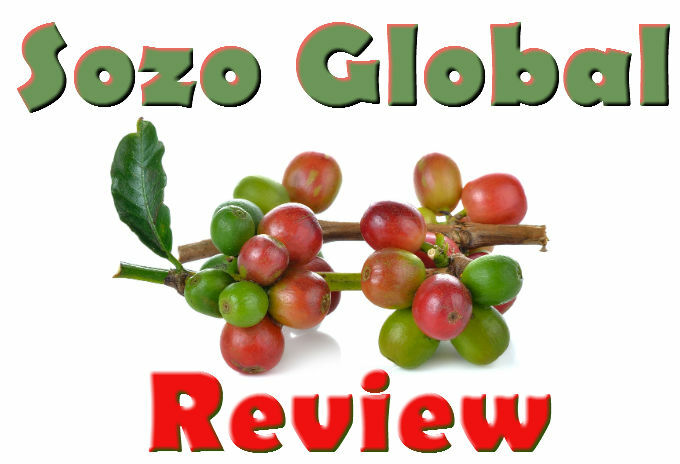 Sozo Global has all sorts of research listed on their site from this CoffeeBerry that indicates you get a superior health benefit from it. As a matter of a fact, in one of their videos they actually brag about how the Coffeeberry is 1000 times, or more, better than the “mighty blueberry”. Basically, anything that berries do in regards to their antioxidant properties, the coffeeberry does too. If you’re going to drink coffee, Sozo wants it to be nutritional for you and they are not shy about claiming to be the most beneficial and absolutely best beverage on Earth. A takeoff of the popular Weight Loss Coffees you see in the other Coffee Mlms like Gano Excel and Javita selling. Comes in the newer popular drink flavors called Pomegranate. Dr. Seade says that Sozo is a “magical” combination of vegetable and fruit stuff. The products reduce fine lines. You are told to keep your face still while the product dries on your face (kind of weird). I found a women who is battling breast cancer who promoted it and said it has helped her with energy. Perhaps one of their most popular drinks is the Sozo Ignite energy drink. I’m very curious about Meridium, because of course…who doesn’t want to feel “euphoric” right? So if you’re a Meridium dealer, hook me up and I’ll be sure to make a review on the product. How do you make money with Sozo? In order to join the Sozo Business Opporutnity, you have to pay a $39 membership fee. After that you need to know about the Sozo Comp Plan. You need to repeat Steps 1-4 and you eventually advance in rank. Sozo Global – A Business Opportunity ? If you’re looking for mlm and you want to get in on the health and wellness niche, I like Sozo Global as an option because of the unique product. In addition to Coffeeberry, they also have made a great commitment to advertising and offering superior promotion of their products. You can see this immediately upon viewing the majority of their videos. Sozo knows how important advertising is and they seem to have a solid foundation when it comes to that. Another reason I don’t mind Sozo is the fact that they aren’t overwhelming with a TON of products. You can easily become and expert with their products and ingredients and theoretically this will make is easier for you to sell. If the products actually work (I haven’t tried them), then this is a great way to go. SECOND – Realize that just selling product isn’t going to bring you the big bucks. You HAVE to have a BIG VISION when doing mlm. If you want to grow large, you have to think large and this means building a team. You need to drive traffic to your business opportunity, not just to your product. This will take time and know- how. How do you get that know-how? My way to do it? Yes, that’s what it’s called. You learn the skills you need to learn in order to drive massive amounts of traffic to websites that you can sell, monetize or use for mlm (you probably won’t want to). If you decided to join Sozo, get ready to talk and network with people. If you’d rather get the skills to learn how to drive traffic first…then GET JOB KILLING. Wanna Quit Your Day Job or Improve Your MLM? Schedule a Call to talk to the founders of Job Killing. They will strategize with you to find out how Job Killing can help you. Schedule a call by clicking on the banner below. It takes you to a calendar and then Dan or Brad Calls you. Wanna know more about the opportunity? Check out Job Killing Coaching info here. Check out some Job Killing Testimonials. See more Job Killing Reviews here. Make a change for 2016. Get a new skill and create your own JOB, Your OWN Business. You can totally do it with no prior skills. All the training is right in Job Killing. When you join, make sure you tell the guys that Charissa sent you. They will make sure we bump elbows on the inside!